All Irish whiskey is triple distilled, and therefore smooth. Well, at least that’s what you might assume if you believe the advertisements surrounding the spirit. It is one of the most persistent myths, born when marketeers tried to keep Irish whiskey relevant in decades past. How this marketing tagline came to define Irish whiskey is something that deserves a closer look. By all accounts the Irish whiskey industry is booming. It is, after all, one of the fastest growing spirit categories in the world, with sales growing by more than 10 percent year after year. Currently sixteen different distilleries produce whiskey on the Emerald Isle, while another fifteen are in the planning stage. 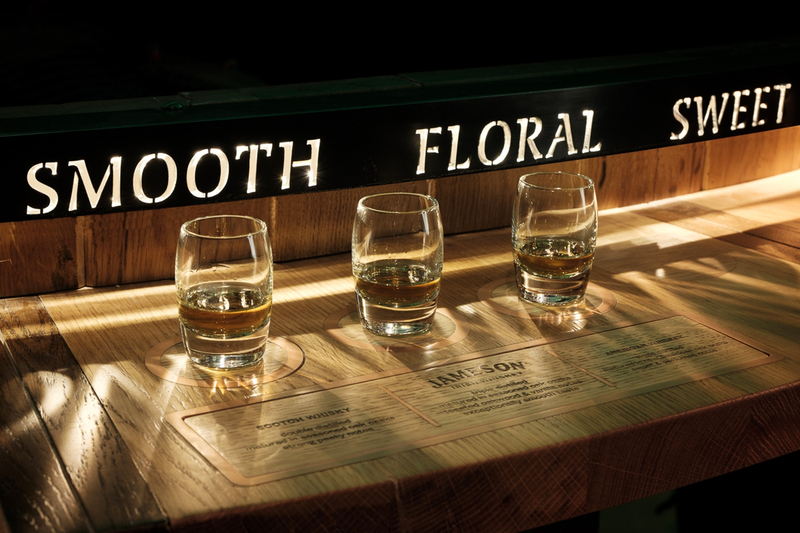 Indeed, things are looking up for Irish whiskey. So much so, that it’s easy to forget the depths that Irish whiskey faced not that long ago. In the second half of the 19th century, Irish whiskey was one of the highest regarded spirits in the world. In fact, it outsold scotch by three-to-one at international London merchants. The disastrous phylloxera epidemic all but decimated France’s brandy producing regions, in the process further ensuring its dominance. Dublin powerhouse distilleries such as Bow Street (Jameson), Power’s and Roe had about as pristine a reputation as one could achieve. The tipple the Irish were famous for back then was a far cry from the smooth spirit Irish whiskey is perceived to be nowadays. Single pot still whiskey, or pure pot still as it was called back then, is a mixed mash bill whiskey made from both malted and unmalted barley. 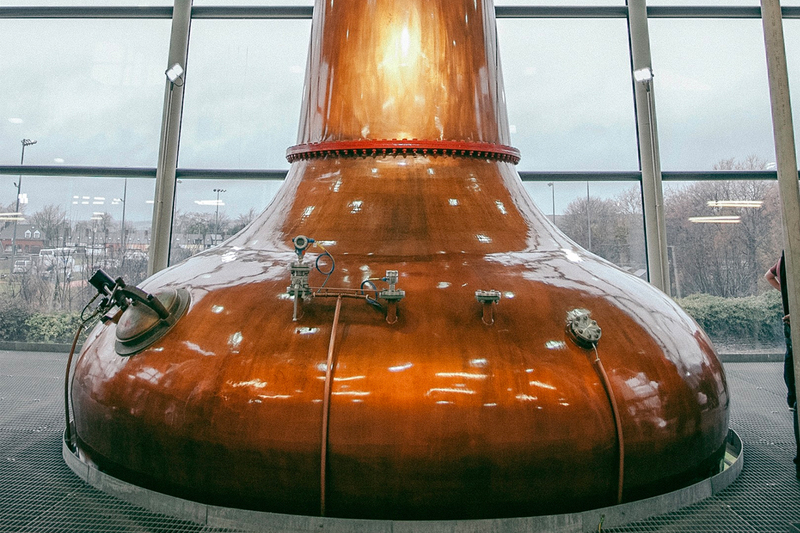 It’s produced in giant, bulbous pot stills, sometimes with a capacity of over 35,000 gallons. Known for its oily and thick texture, single pot still whiskey is surprisingly spicy, and often displays an abundance of dried red fruits. Curiously enough, the single pot still style has its roots in a tax evasion maneuver. In 1785 a tax was introduced on the use of malted barley. While the tax was later repealed, the style endured popularity. When journalist Alfred Barnard made his famed tour of the whiskey distilleries of the United Kingdom in the 1880s, he visited twenty-eight distilleries in Ireland. Almost all of them were producing single pot still whiskey. Even more telling: not all of the distilleries Barnard visited practiced triple distillation. That fact is not withstanding that triple distillation was a widespread technique in late 19th century Ireland. However, distillers didn’t necessarily do this to achieve a smooth, easy-drinking result. In many cases, a third round of distilling was needed to extract more alcohol from the generally lower-yielding mash of malted and unmalted barley. Generally speaking, even after three merry-go-rounds in one of those big Irish pot stills, a pure pot still whiskey is in essence often quite heavier than an average double distilled malt whisky. The dominance of Irish whiskey wasn’t to last. A combination of factors contributed to its fall beginning in the early 20th century. The Irish refusal to adopt the efficient Coffey still gave way to Scotch blended whisky taking the lead. Prohibition in the United States was also detrimental. Counterfeit Irish whiskey entered the American market at the hands of the mobsters. By the time Prohibition was repealed, the reputation of Irish whiskey had taken a massive hit. The Irish war of independence also had its own economic impact. 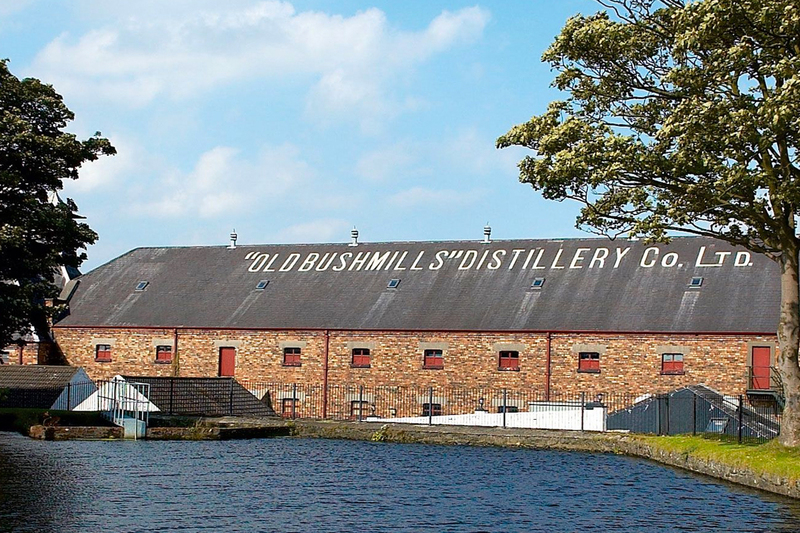 As a result, in the 1970s only two distilleries remained in Ireland: New Midleton Distillery south of the border, and Old Bushmills Distillery on the north side. Not to mention, the last few decades of the 20th century were an absolutely abysmal time for the entire whiskey industry. During this period, the smooth myth regarding Irish whiskey reared its head. This was done to help distance itself from its biggest rival, Scotch whisky. Irish whiskey was to be known as smooth, soft and mellow because of its signature triple distillation. The biggest-selling Irish whiskey in the world, Jameson, is the best example of this marketing strategy. Admittedly, it has worked out remarkably well for the brand, but it overshadows the fact that Irish whiskey is so much more than triple distillation and smoothness. Sadly, this myth is still perpetuated to this day, at the Jameson Bow Street Experience in Dublin for example. More than 350,000 people visited the attraction in 2017, and all were invited to try an Irish (Jameson), a scotch (Johnnie Walker Black), and an American (Jack Daniel’s) whiskey. The message this tactic tries to convey is this: Scotch whisky is peated, American whiskey is sweet, and Irish whiskey is smooth and most accessible. In reality, as with almost everything in life, things are more nuanced. Scotch whisky is most often unpeated, and there are a variety of different American whiskey styles. With regards to Irish whiskey, the spicy, full-bodied Irish single pot still style is gaining popularity. It is this style that serves as the pillar upon Irish whiskey was built, so it only seems right for it to reclaim its place in the limelight. Redbreast and Power’s (both brands produced at Midleton Distillery, along with Jameson) are excellent examples of single pot still whiskey. These brands have either been around for a long time, or have been revived after a period of absence. 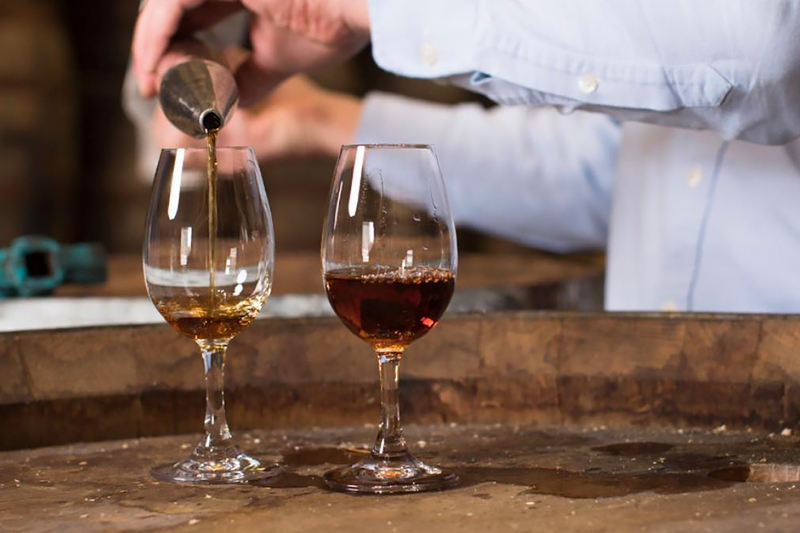 New distilleries too embrace their Irish whiskey heritage. Dingle has already released its first single pot still whiskey, while a single pot still release of Dublin-based Teeling Distillery is expected later this year. Clearly, the diversity in Irish whiskey should be recognized—and heralded. New and upcoming releases should reinforce the fact that Irish whiskey is about so much more than smoothness and triple distillation. It’s time to put that myth to rest.